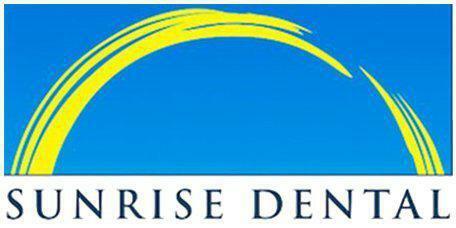 Dr. Chin and his associates at Sunrise Dental of Everett provide general dentistry services to help preserve and protect the dental health of patients from in and around Everett, Washington. Regular dental checkups are an essential part of general dentistry. Routine appointments allow a dentist to monitor the health of your teeth and gums, ensuring that if any decay or other issues begin to develop, the condition can be treated as soon as possible. Regular checkup appointments typically take 20 to 40 minutes, and the American Dental Association recommends scheduling two checkups each year. Without proper care of your teeth, you run the risk of gum disease, which can lead to tooth loss. Gum disease, also called periodontal disease, is an infection of the tissues that support your teeth. Gum disease is caused by plaque, a sticky film of bacteria that constantly forms on the teeth. Periodontal diseases attack just below the gum line, which can cause the attachment of the tooth and supporting tissues to break down, leading to tooth loss. A visual exam: An intraoral camera is used to view all surface areas inside your mouth. Dr. Chin is not only looking for cracked and decayed teeth, but also for any abnormalities on the soft tissue surrounding your teeth. He will also examine your lymph nodes, jaw, and neck for pain, tenderness, and flexibility. X-Rays: Digital X-rays identify problems on the interior of the tooth that cannot be seen by the naked eye. Professional cleaning: Your teeth are cleaned and polished using special instruments to remove plaque from above and below the gum line. Polishing also smoothes tooth surfaces so plaque is less likely to accumulate. How Should I Take Care of My Teeth Between Appointments? The key to good oral health is preventing the buildup of plaque and decay in the mouth. To keep your teeth and gums healthy, brush your teeth and tongue twice a day, floss at least once daily, and make regular visits to the dentist for checkups and professional cleaning.